Kubuntu 18.04, which is built on Ubuntu Bionic Beaver, is the first long-term support release that includes the Plasma 5 desktop. 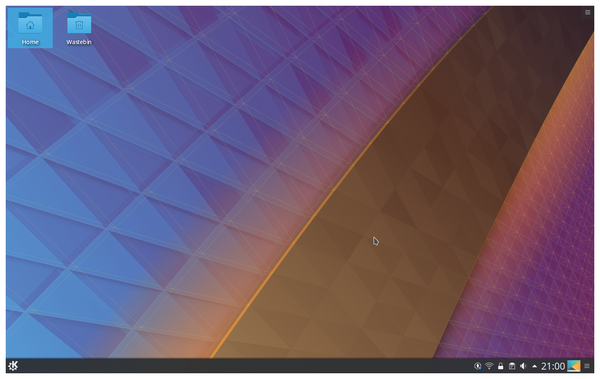 This article looks at the latest Kubuntu and highlights some cool configuration tricks. 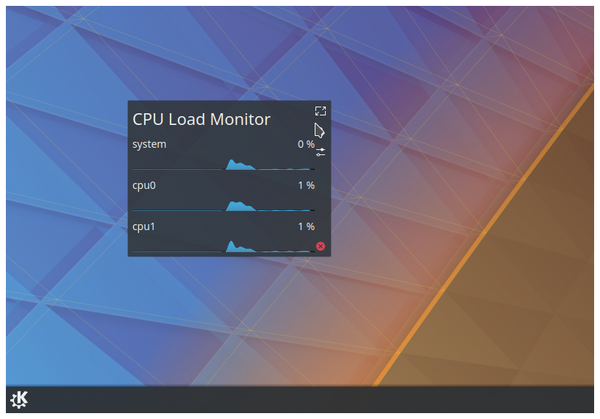 In July 2014, KDE announced Plasma 5.0, a visually updated core desktop experience that was user friendly and familiar. Plasma also introduced a new major version of KDE's workspace. The new "Breeze" artwork concept introduced cleaner visuals and improved readability. Central workflows were streamlined, while well-known overarching interaction patterns were left intact. Plasma 5 improved support for high-DPI displays and added a "converged shell," able to switch between user experiences for different target devices. Changes under the hood included the migration to a new, fully hardware-accelerated graphics stack centered around an OpenGL ES scene graph. Plasma is built using the new Qt 5 and Frameworks 5. The changes ushered in with Plasma 5 have finally reached the Kubuntu LTS series with Kubuntu 18.04. If you're new to Kubuntu, or even if you're upgrading now from a previous LTS edition, this article will give you a brief introduction to Kubuntu 18.04 and show you some highlights of the Plasma 5 desktop. Long-term Linux desktop users will remember KDE 3 and 4. These major platform transitions brought stunning improvements to the KDE framework and the underlying Qt ( say "Cute" ) libraries. These transitions were an enormous undertaking, which was particularly burdensome for KDE – not only was the core desktop ported to the new Qt toolset, but it also required KDE Frameworks and the full set of applications. KDE applications represent a considerable portfolio of software, all of which must be ported to the new frameworks at each major release transition. Of course, users found such transitions frustrating, which resulted in a drop in the user base. However, with each transition, the KDE community delivered improvements that helped with recovering the lost user base. The Plasma desktop in Kubuntu blends together the dark and light breeze themes to create a beautiful and modern-looking desktop (Figure 1). Plasma uses vector-scaling graphics throughout, which provides smooth scaling on all displays. The ethos behind Plasma is one of an active desktop. Active means that the desktop should both embrace and assimilate your day-to-day workflow. This active desktop is achieved through the use of widgets (aka plasmoids ) – small configurable desktop applets that offer a huge range of functions. Figure 1: The default Kubuntu desktop. One of my favorite uses for Plasma widgets is to create specialized active desktops that are configured to a specific workflow. Recently, I have been working on the #100DaysOfCode challenge. To support this activity, I configured a selection of widgets on my desktop consisting of the Notes, Timer, and Browser widgets. These tools enable me to have the PHP documentation sitting directly on the desktop, alongside my notes and a countdown timer, which enables me to configure specific blocks of time to work on coding. To set this up for your environment, begin by right clicking on the Plasma desktop and choose +Add Widgets. A panel on the left will slide out. The Add Widgets panel contains the default set of widgets shipped with Kubuntu. Deploying these widgets onto your desktop is as simple as dragging and dropping. Additionally, a vast array of widgets are available through the Get New Widgets button at the bottom of the panel. Each widget carries its own specialized configuration, resize, and positioning functions. To access the configuration panel, hold down a long left click on the widget (Figure 2). The widgets scale smoothly. You can drag them into different locations across the desktop and organize them neatly to match your specialized workflow. Figure 2: CPU Load monitoring widget, with its configuration menu activated. Activities are an often undiscovered and underutilized Kubuntu feature. Activities allow you to set up desktops that are specifically tailored to your work environment. You can think of activities as something like virtual machines or Docker images for your desktop. Activities have independent widget sets, wallpapers, and application separation. You can configure activities for software development, blogging, photography, and gaming. Access each of these activities with a simple click to switch. As an example: Say you're working on a new KDE application using Qt Designer, and you've just kicked off a large compilation. Instead of opening another application to work on your blog, simply switch to your blogging activity. All your work continues running in the software development activity, leaving you with a clutter-free desktop to work on your blog. This feature becomes even more useful when you create multiple activities and configure them to match each of your workflows. Suppose you would like to create a Kubuntu Community activity and add some useful widgets that are connected to community resources. Just right-click on your desktop and click Activities from the menu. From the Activities panel (which slides out from the left ), click on Create Activity. Name the activity Kubuntu Community, and click Create. Your new activity appears in the activity panel. Click on the activity to switch to it. 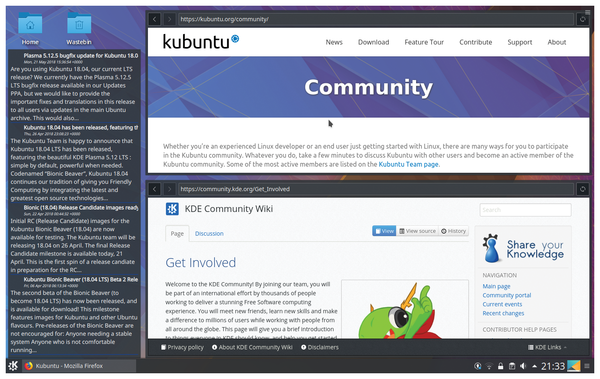 Figure 3: The configured Kubuntu Community activity. If you want features, bells and whistles, and configurability in spades, your best choice of desktop is probably KDE's Plasma desktop. Navigating and discovering all that's on offer can be a challenge, though. KDE SC 4.10 was released six months after KDE 4.9, adding many new features. In the background, work is in full swing for the next generation, KDE Frameworks 5: a KDE based completely on Qt5 and QML.